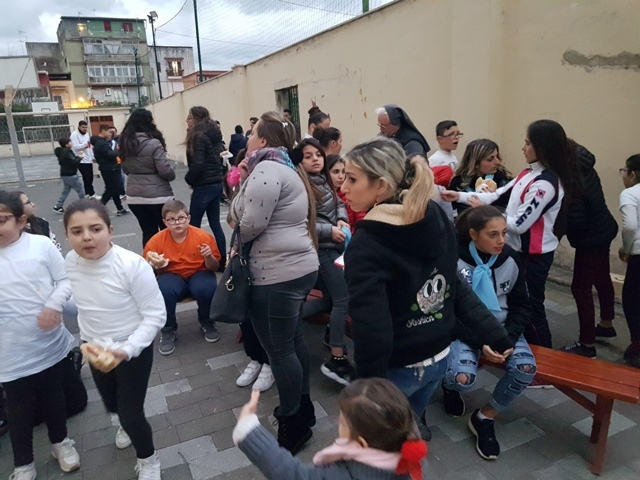 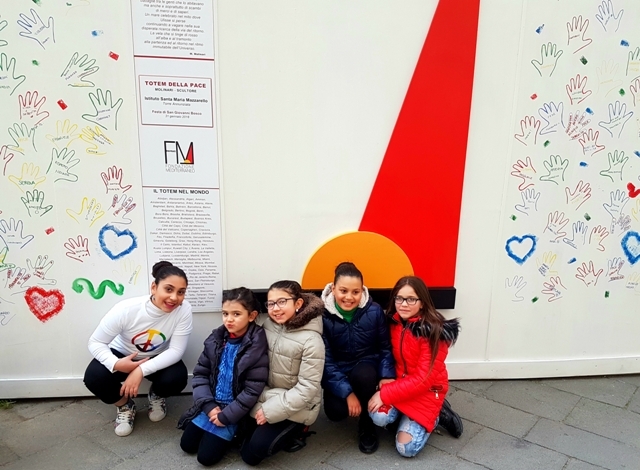 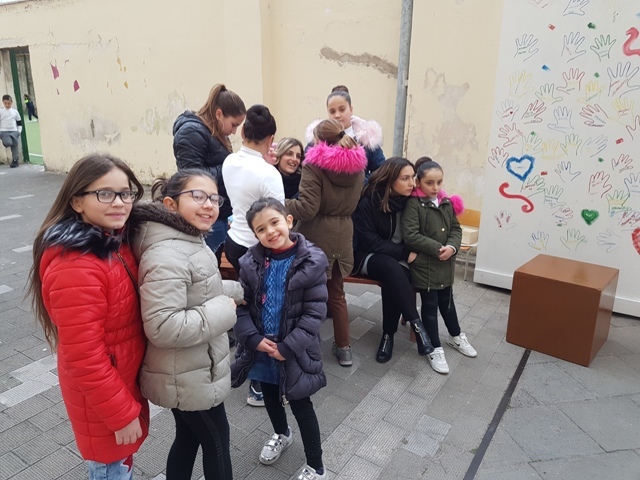 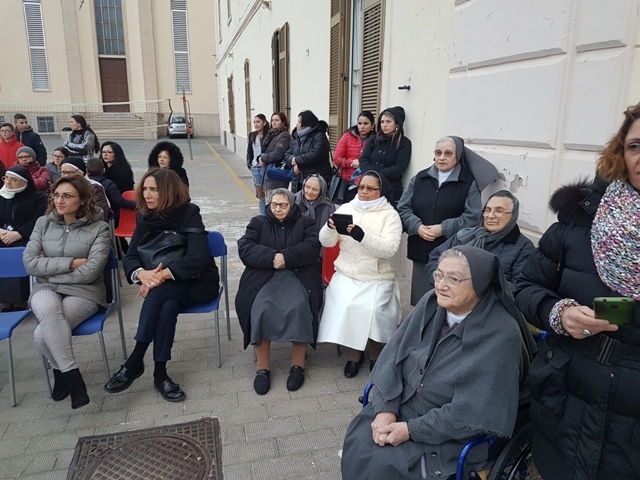 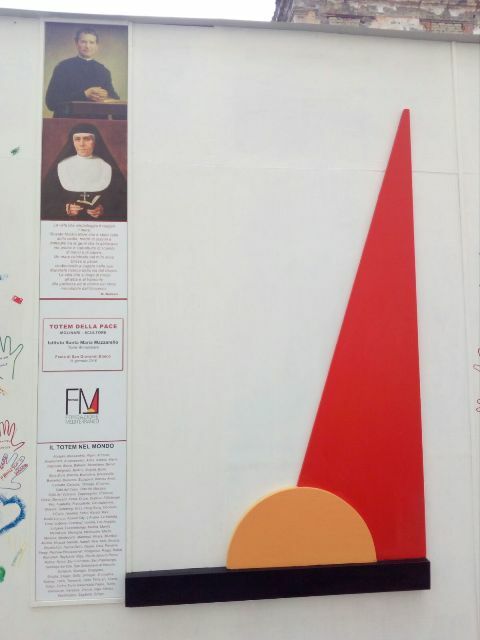 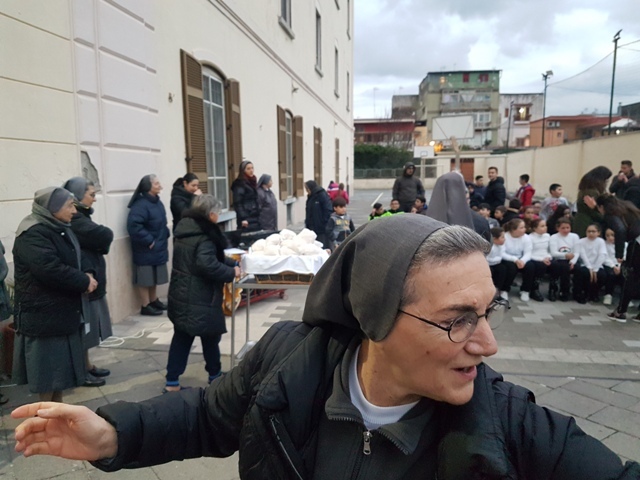 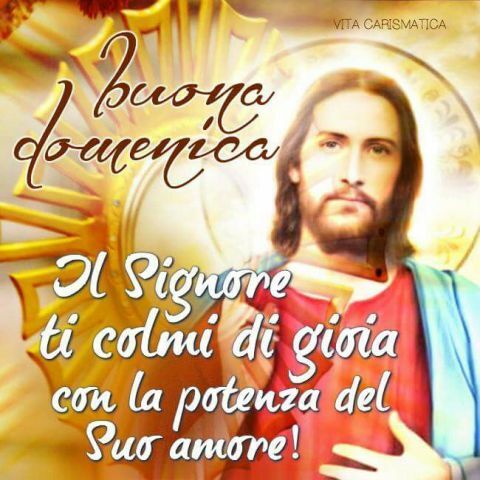 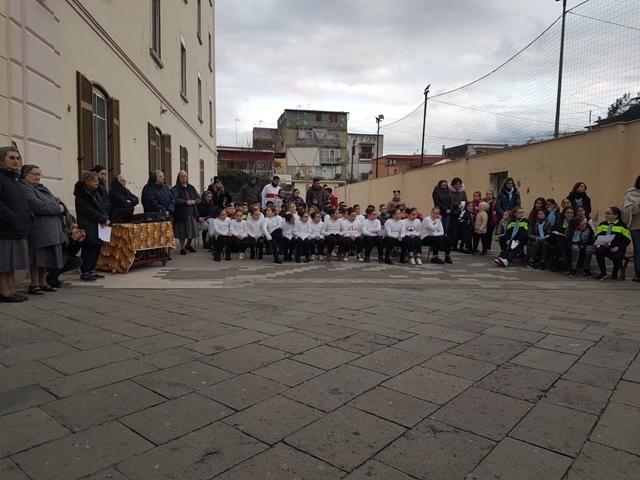 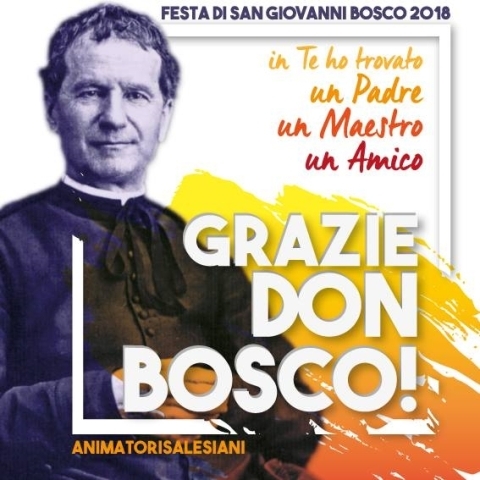 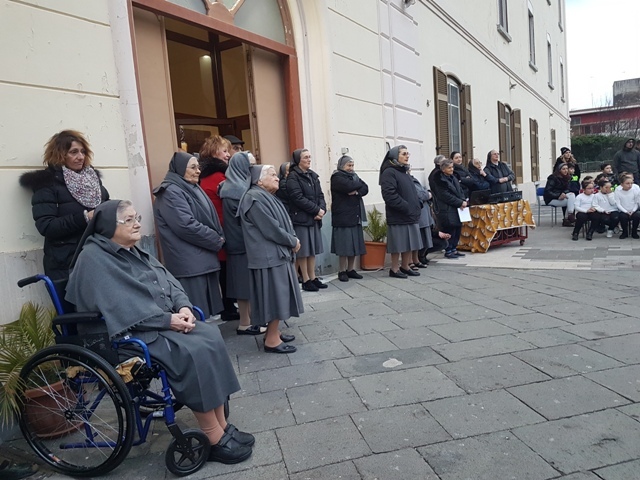 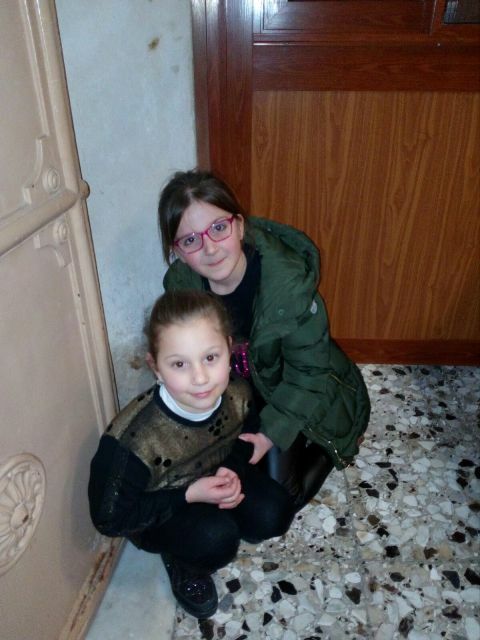 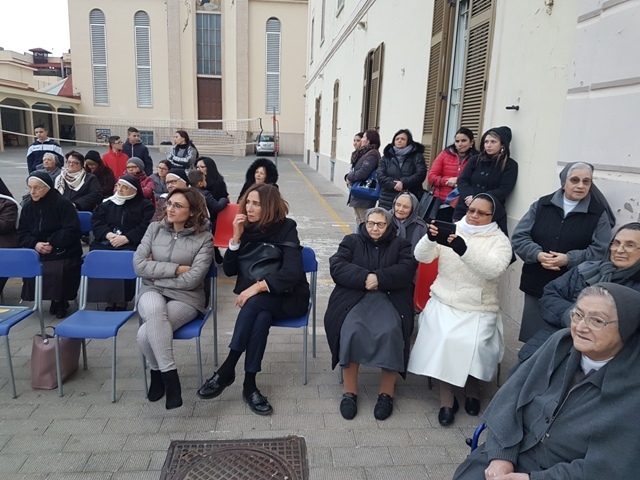 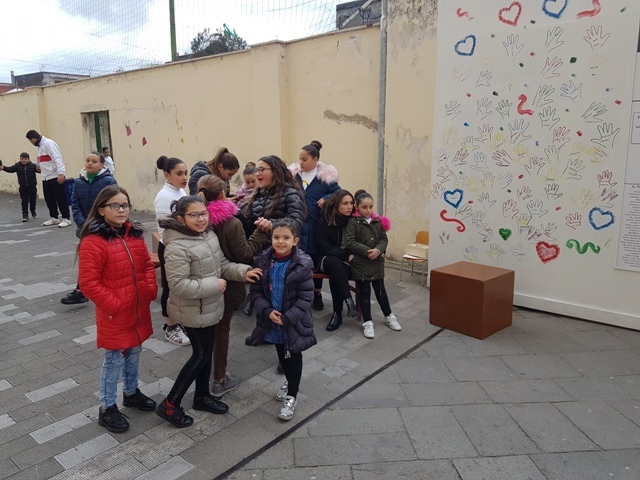 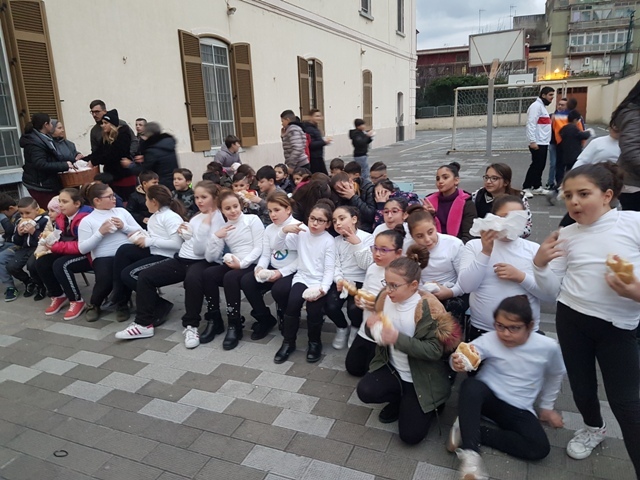 On the occasion of the Celebration of San Giovanni Bosco, took place, at the oratory of the Santa Maria Mazzarello Institute in Torre Annunziata, the inauguration of the work "Totem della Pace" by the Molinari sculptor. 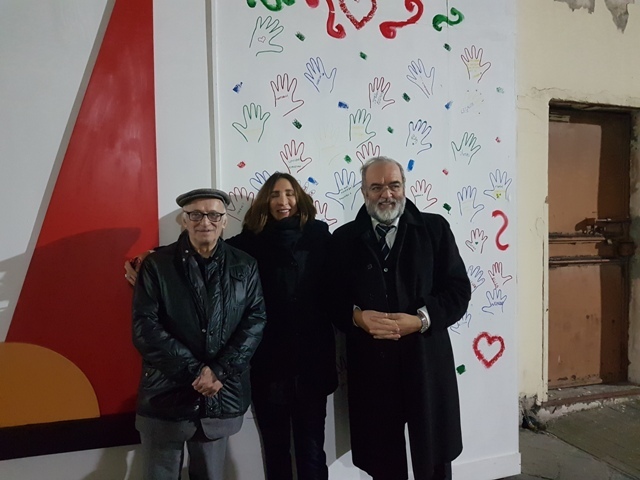 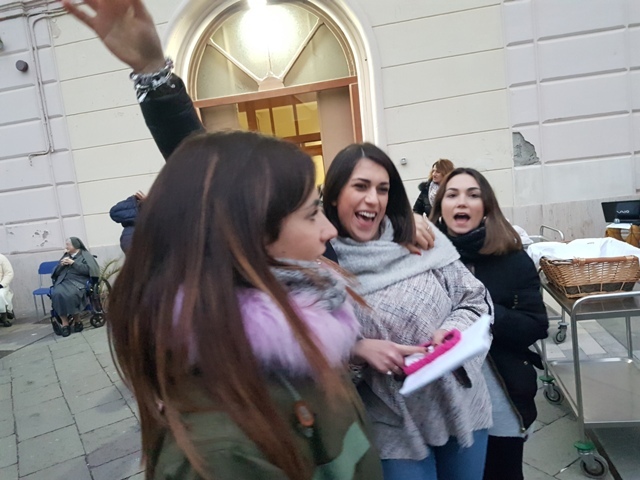 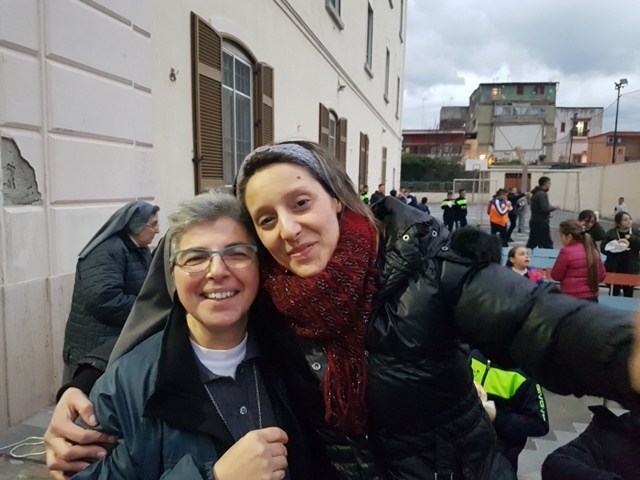 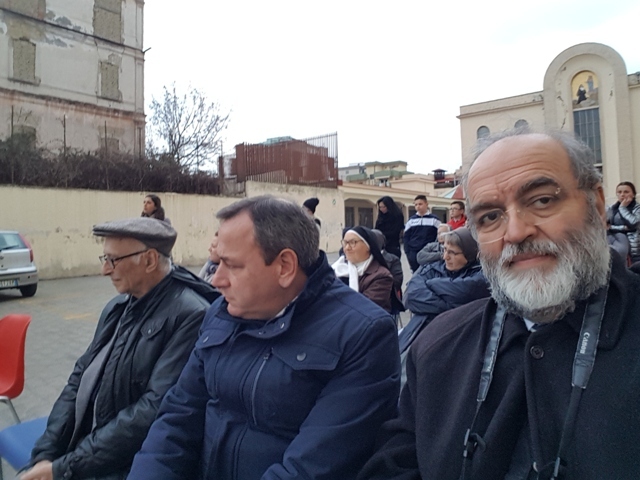 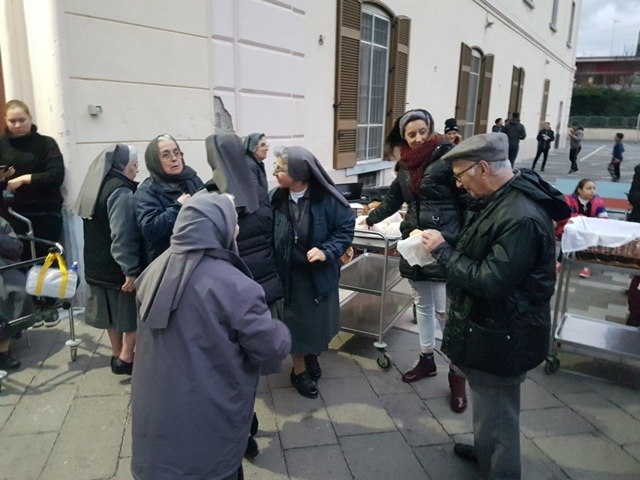 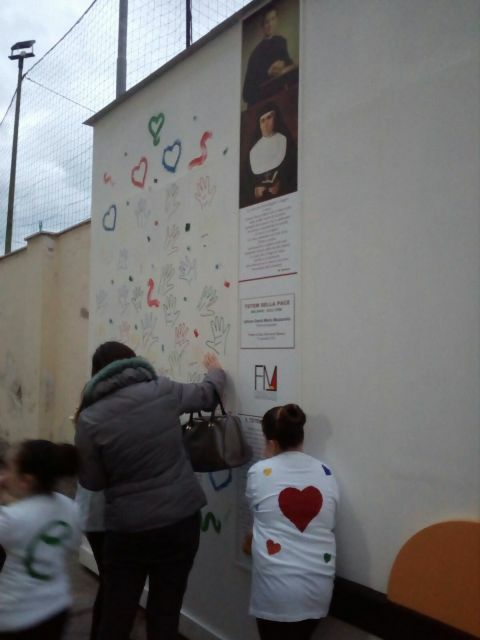 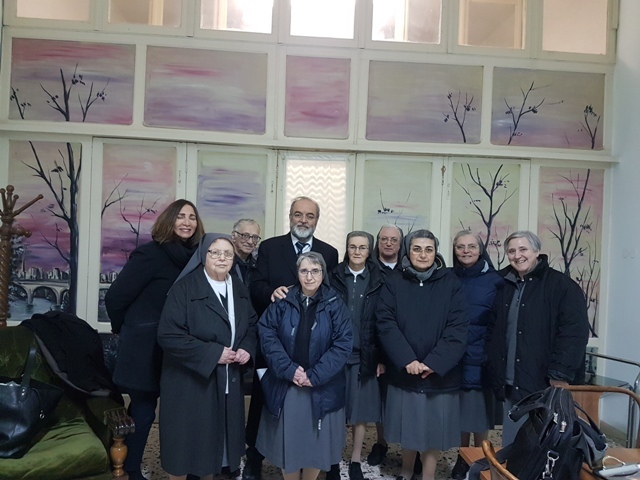 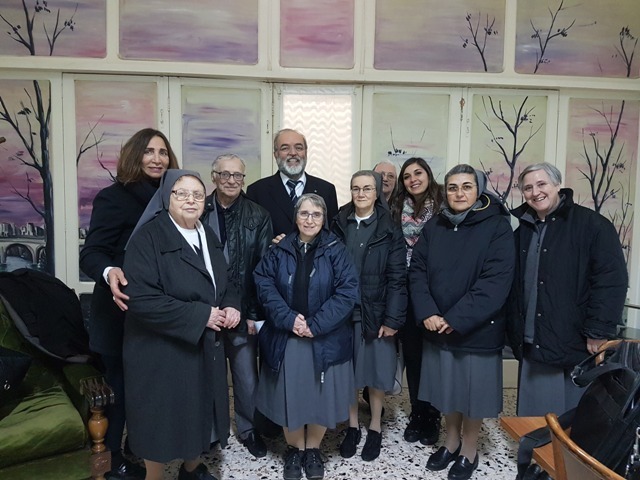 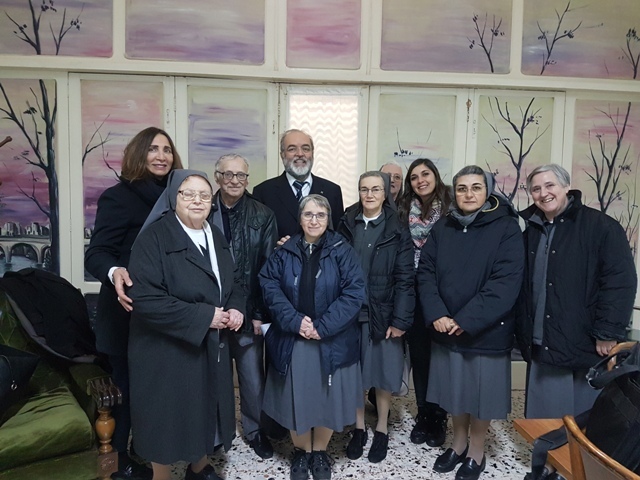 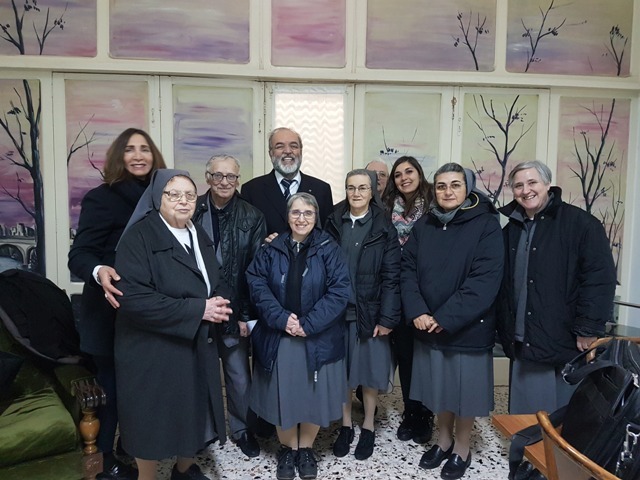 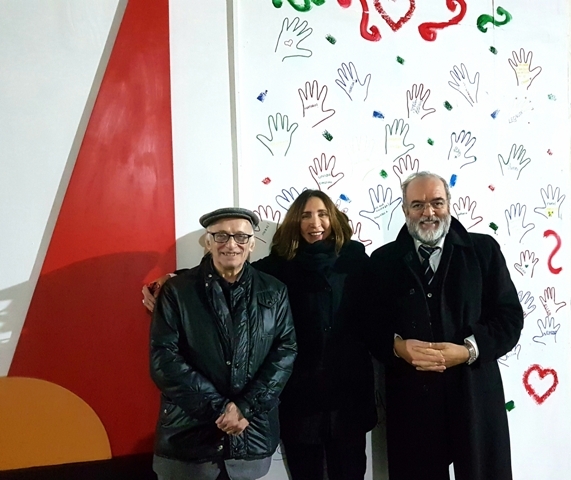 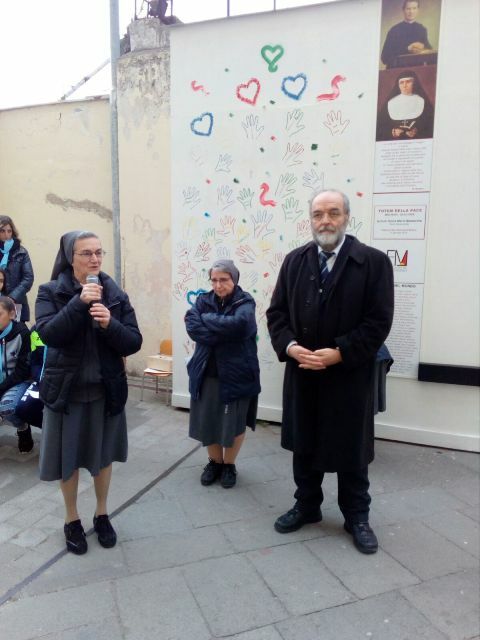 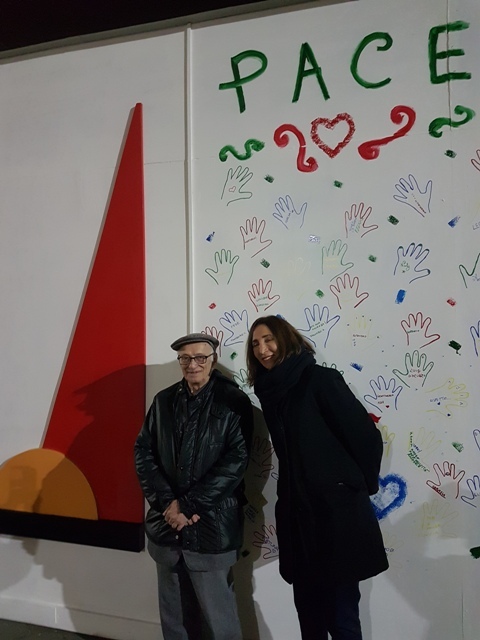 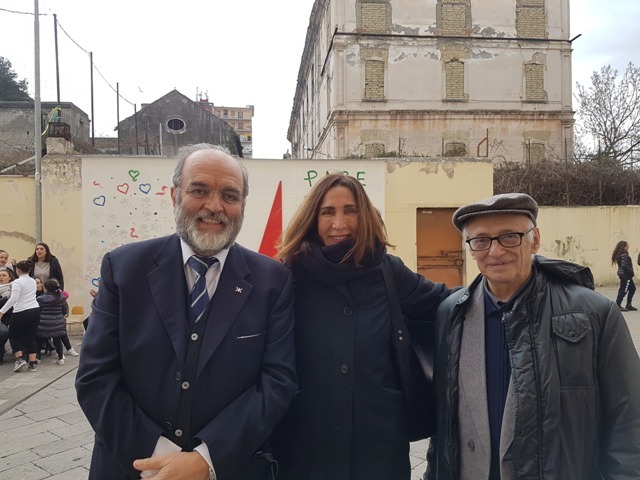 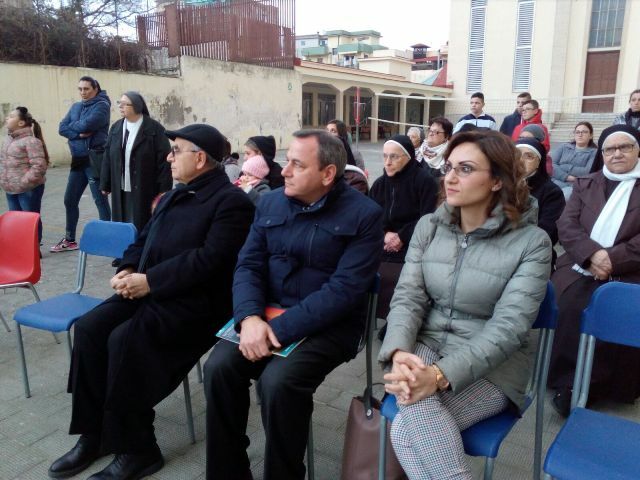 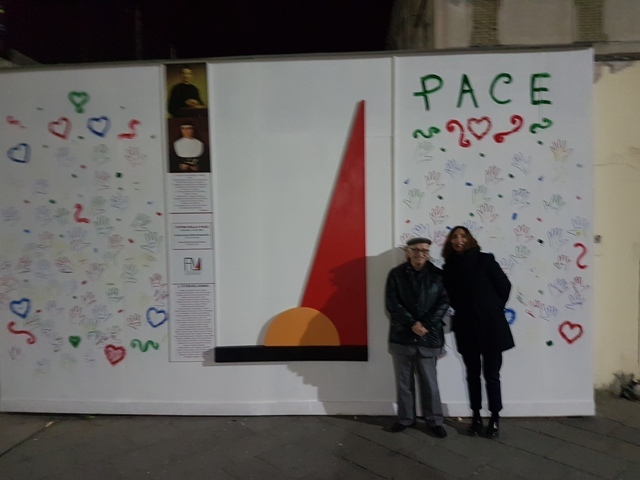 After the greetings of the director of the institute Suor Marianna,of the southern vice-director SuorCarlaandof the person in charge of the oratory Sister Angela, have participated the president of the Fondazione Mediterraneo Michele Capasso, the person in charge of the "Totem della Pace" project Pia Molinari, the mayor of Torre Annuziata Enzo Ascione and the priests Don Franco and Don Mario. 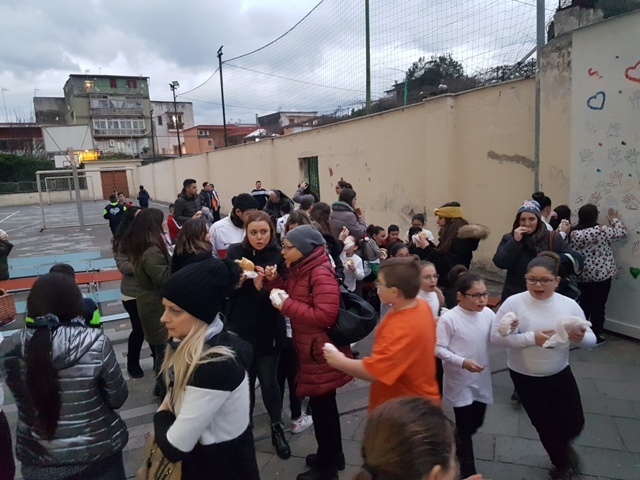 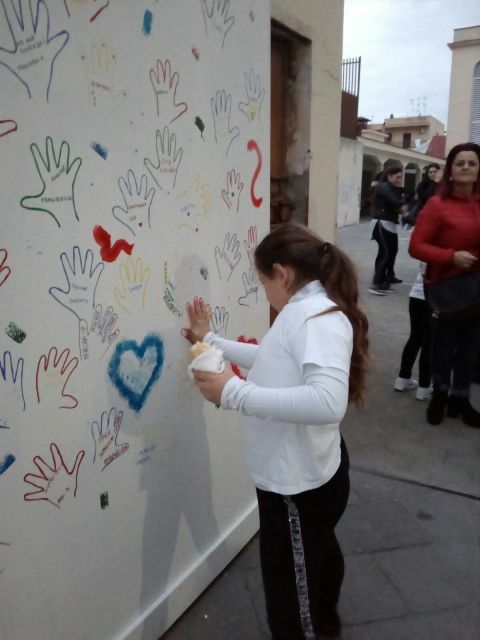 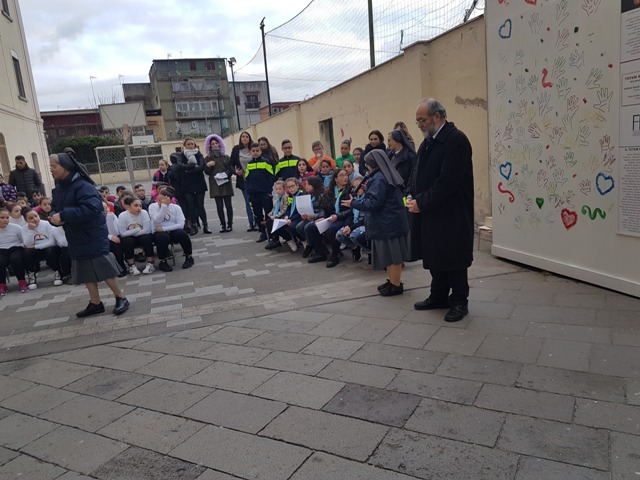 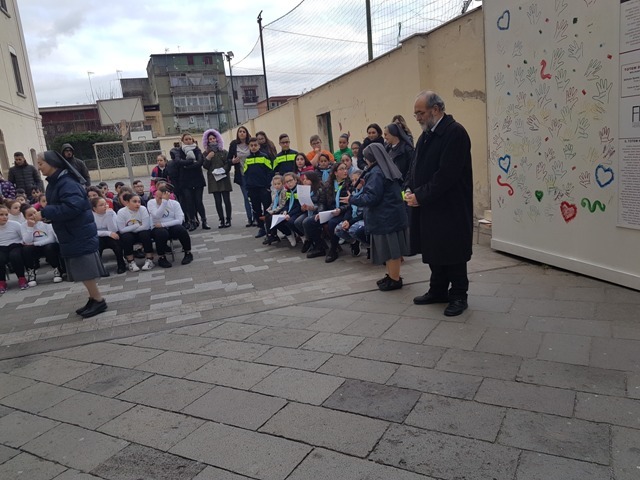 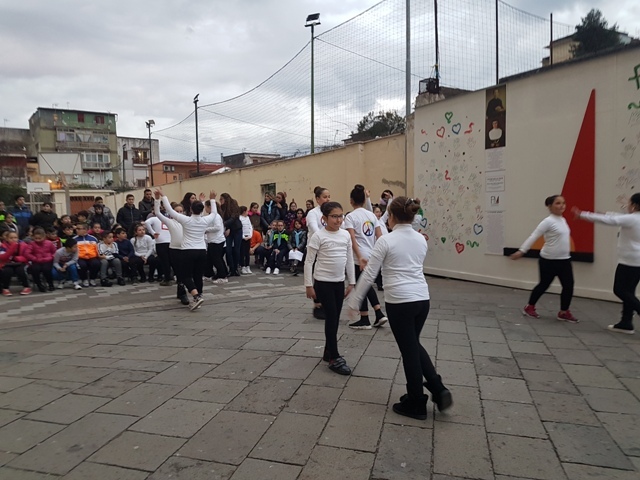 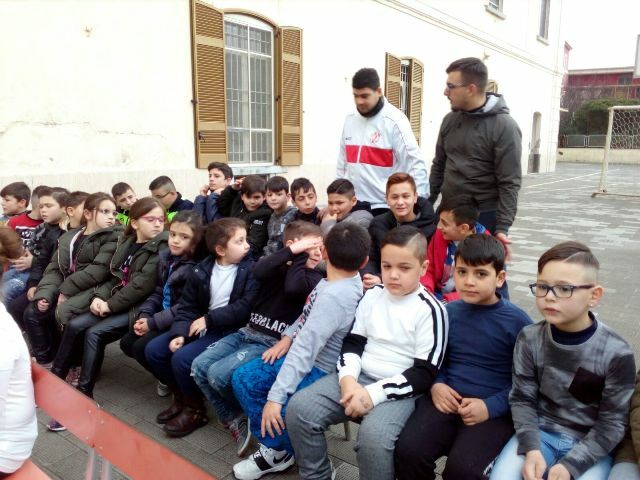 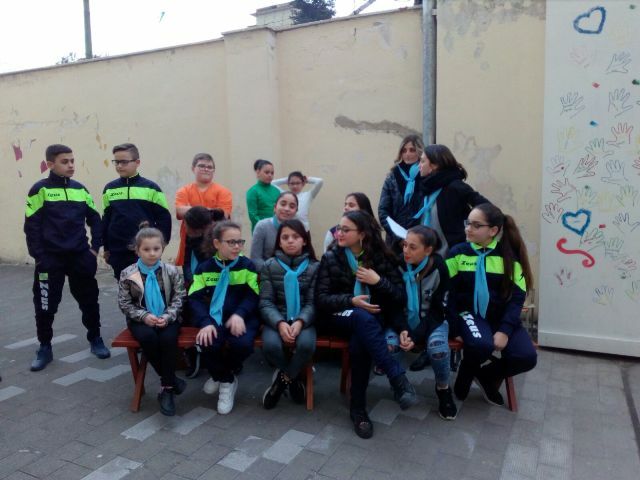 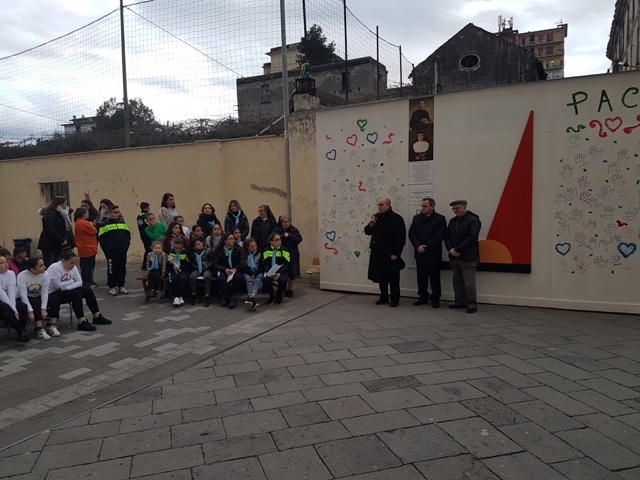 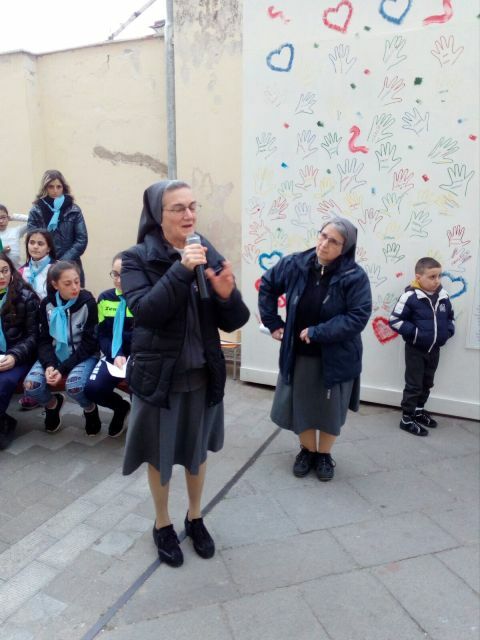 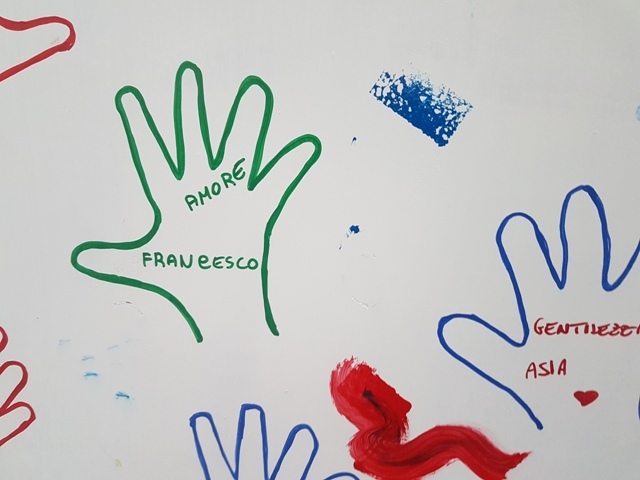 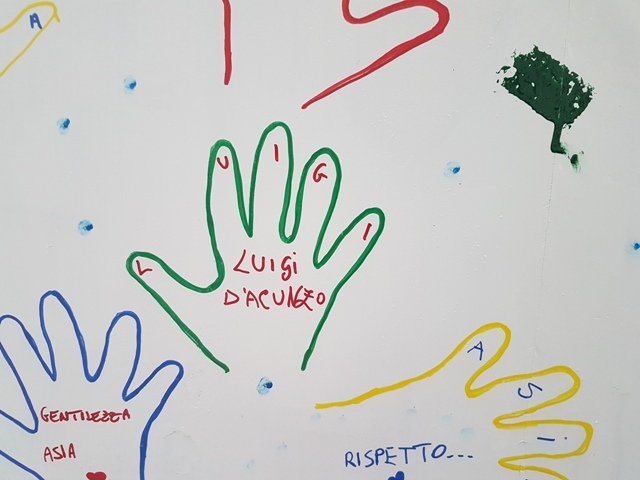 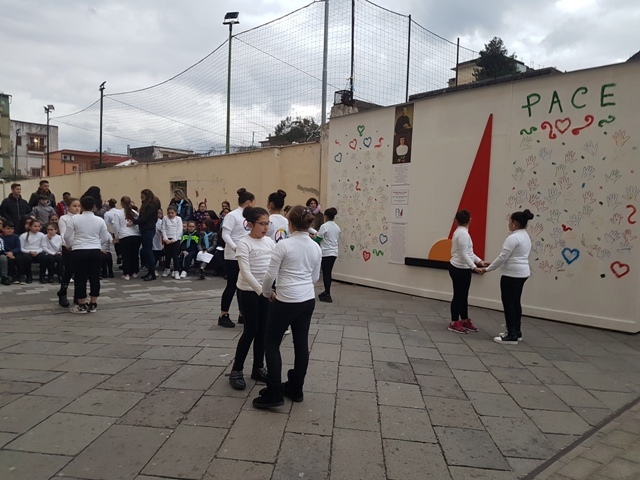 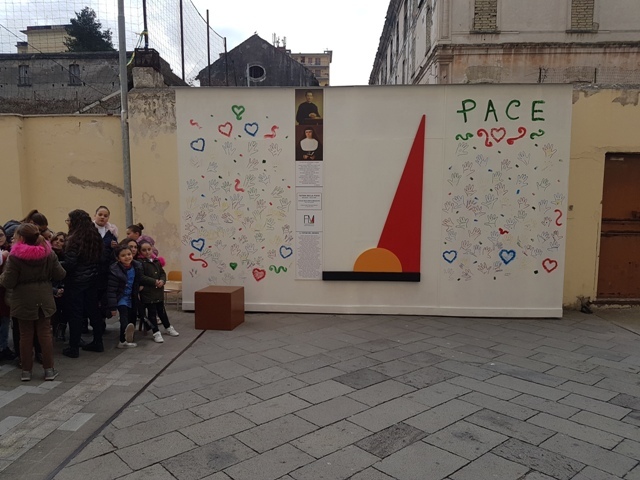 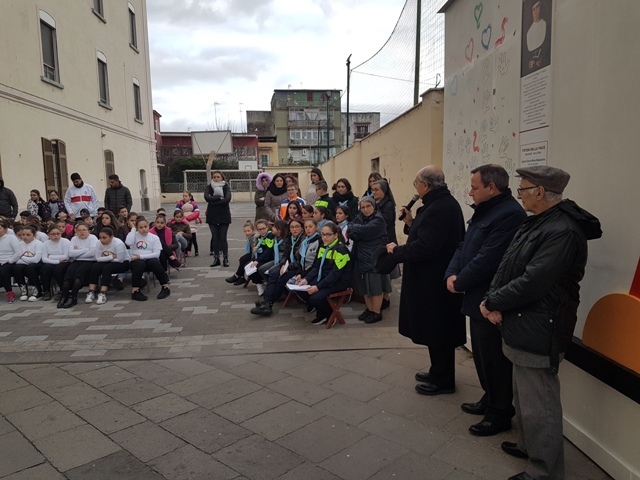 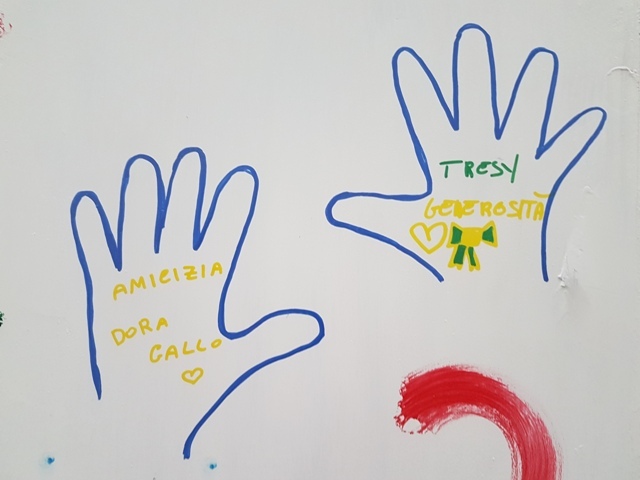 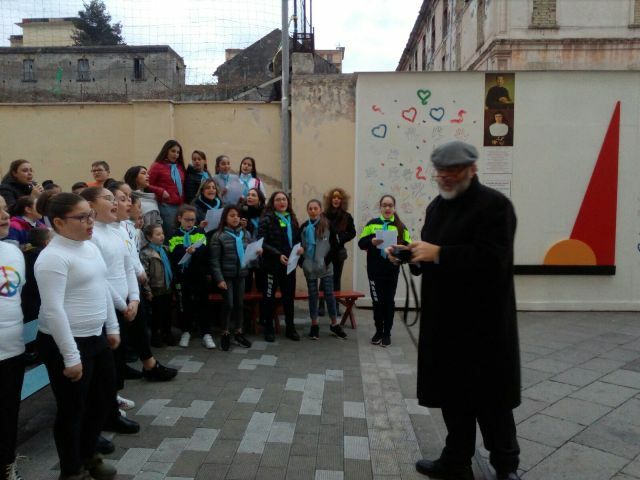 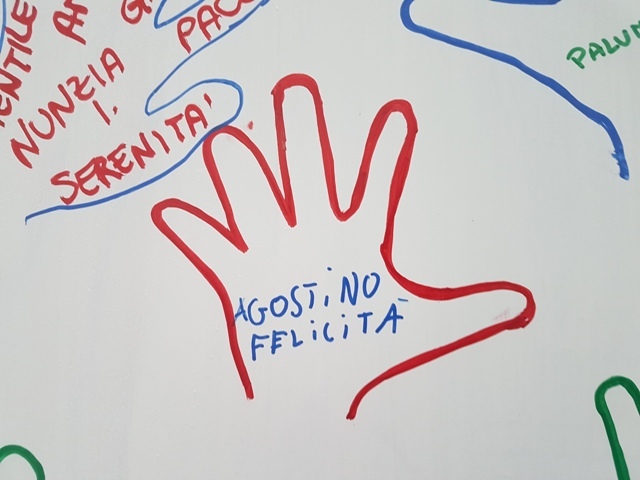 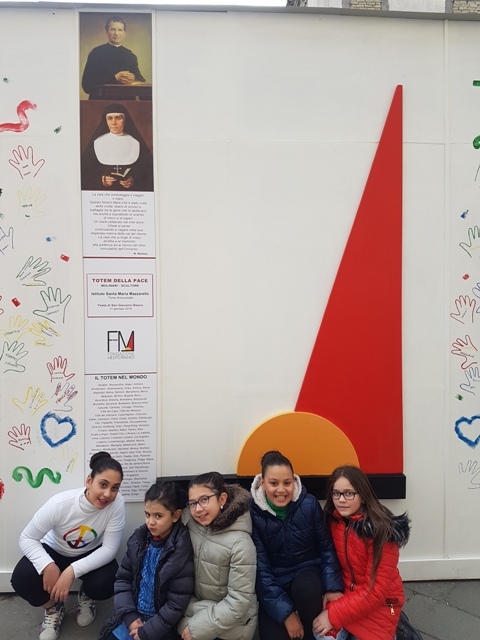 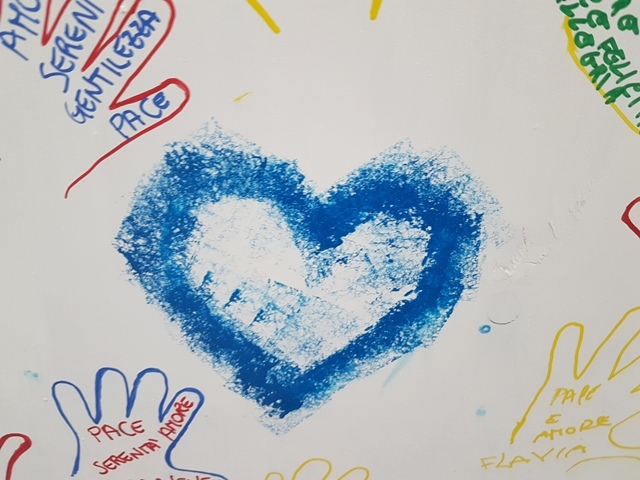 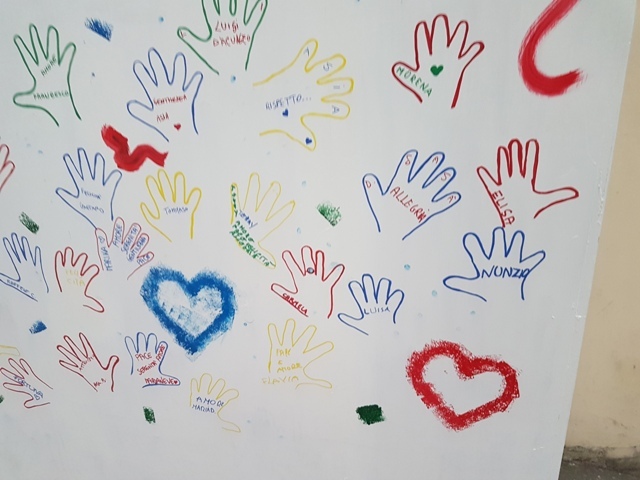 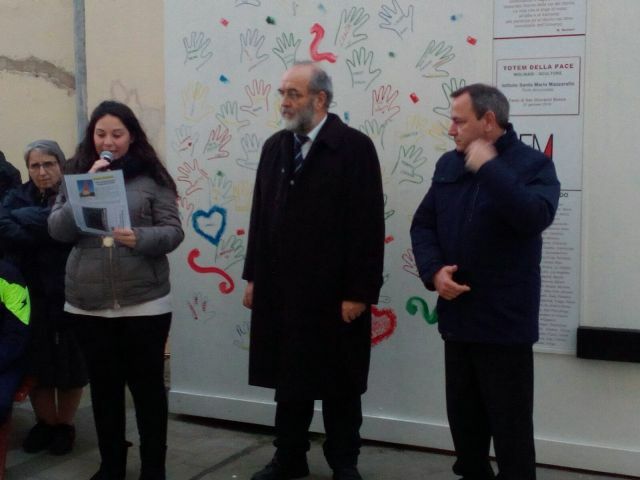 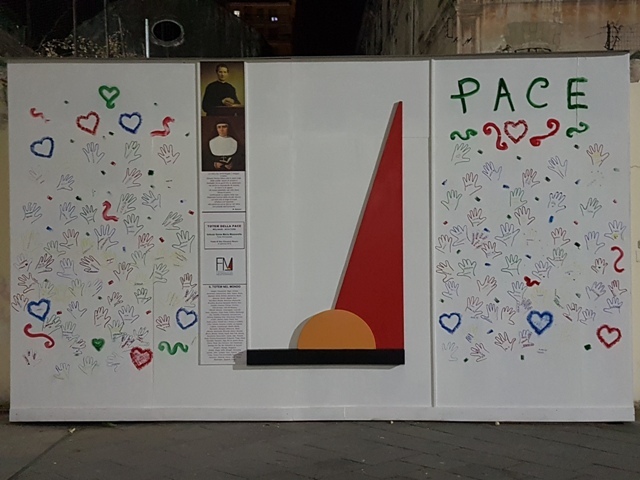 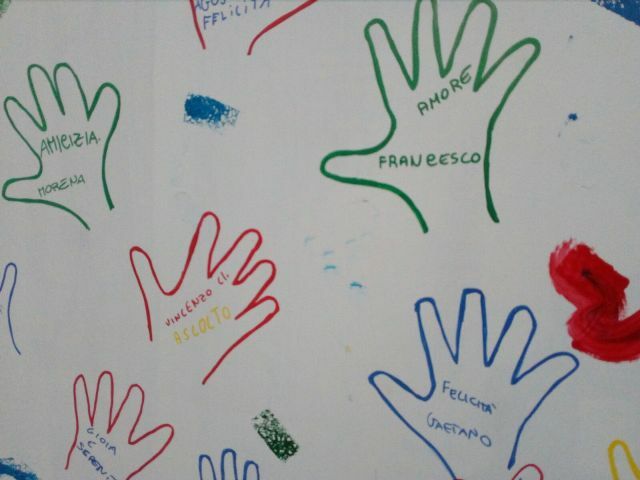 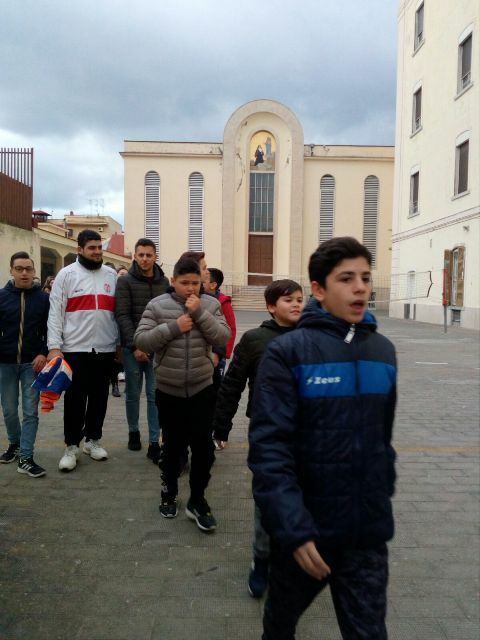 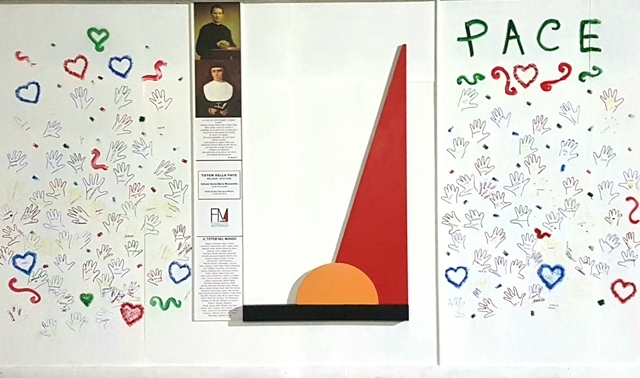 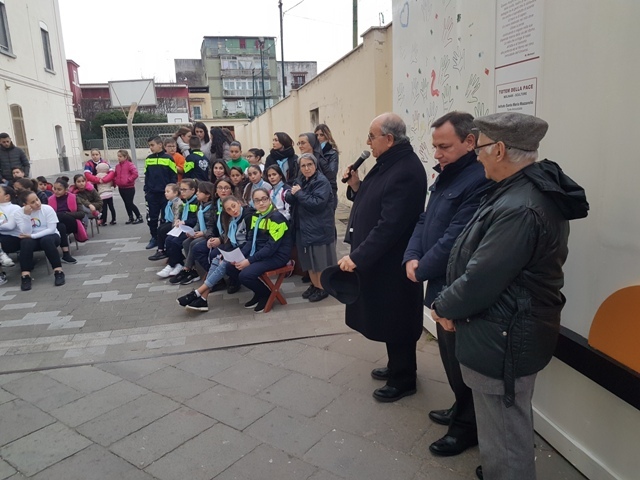 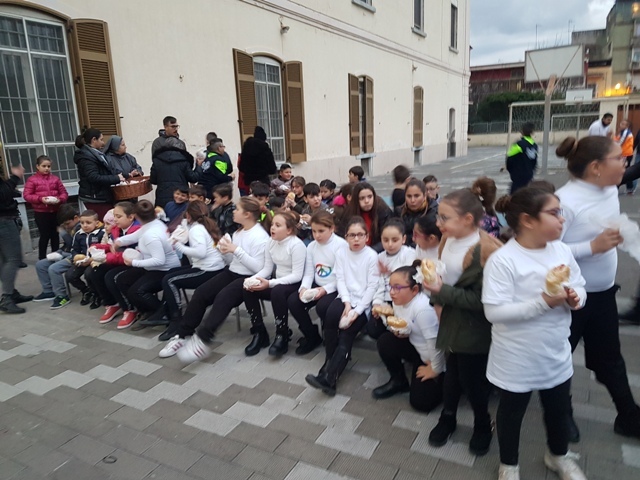 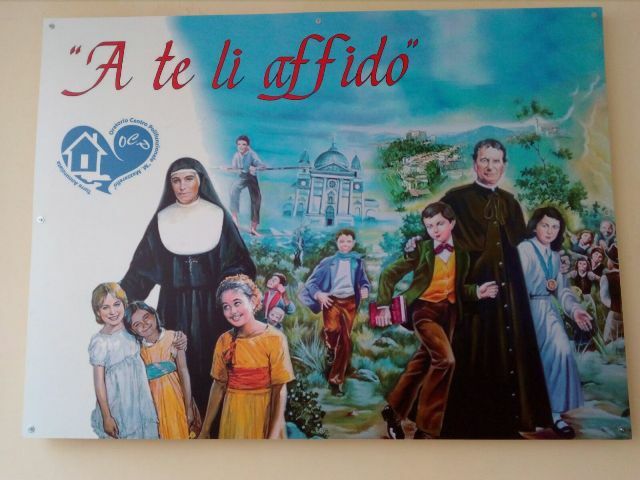 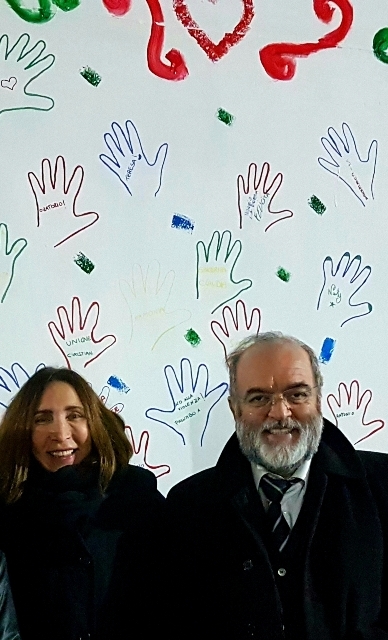 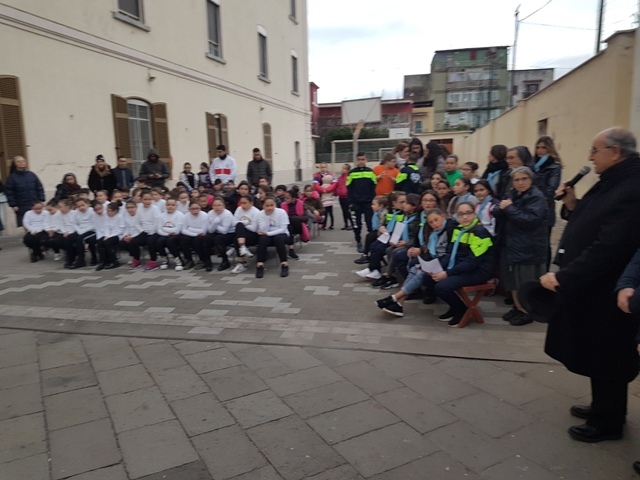 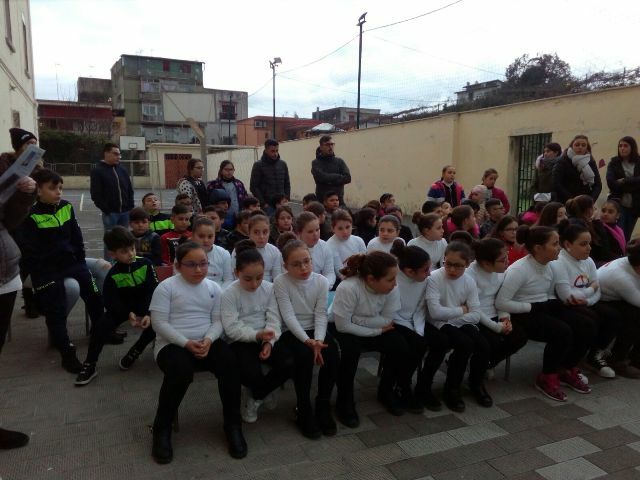 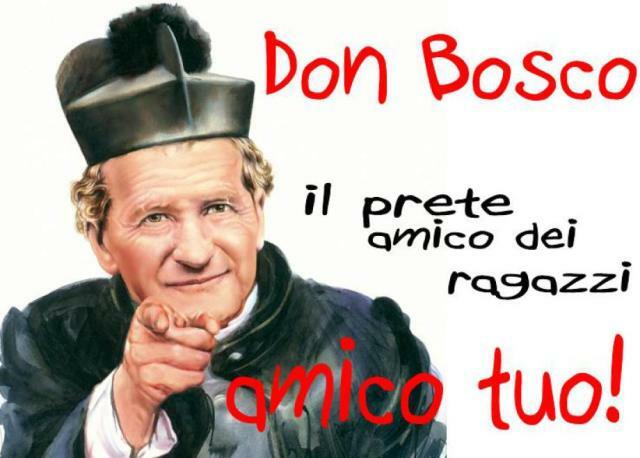 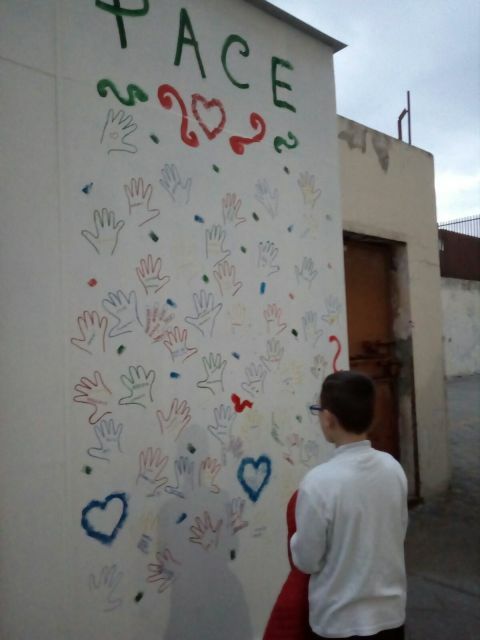 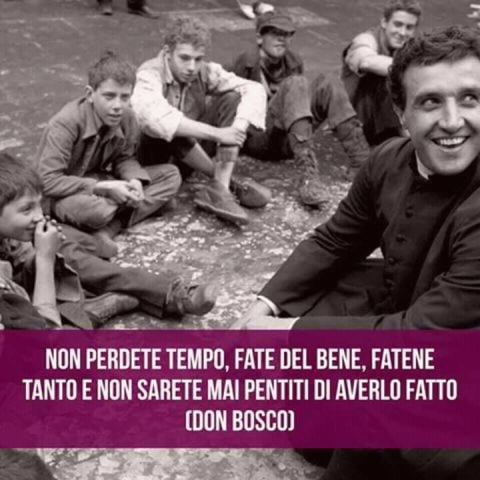 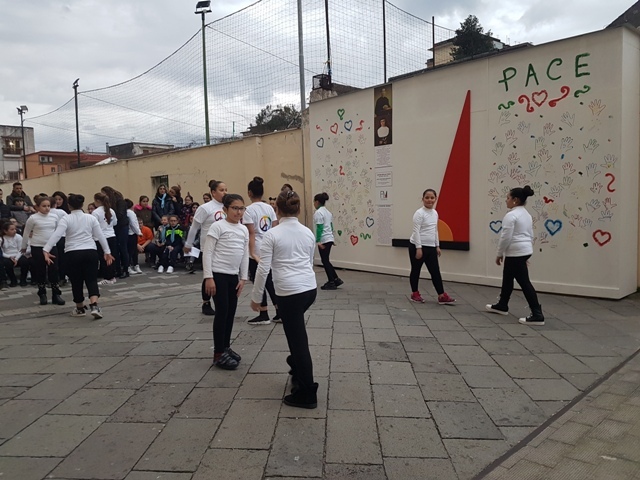 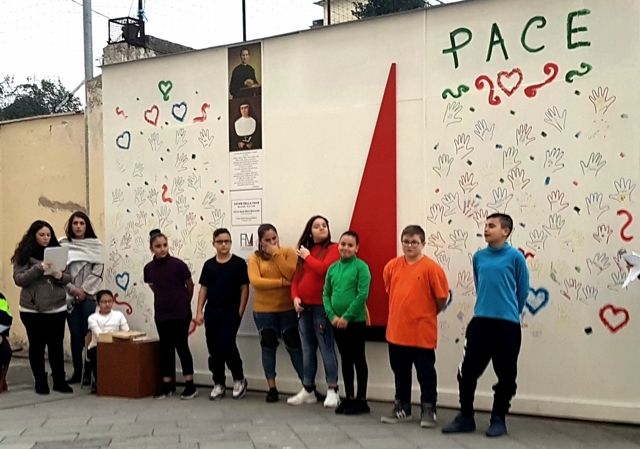 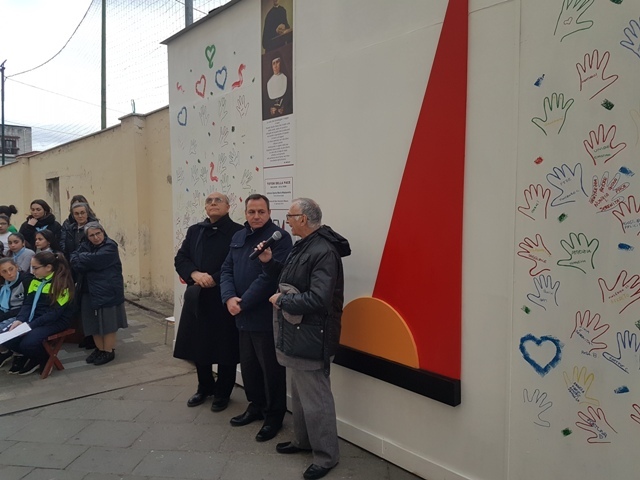 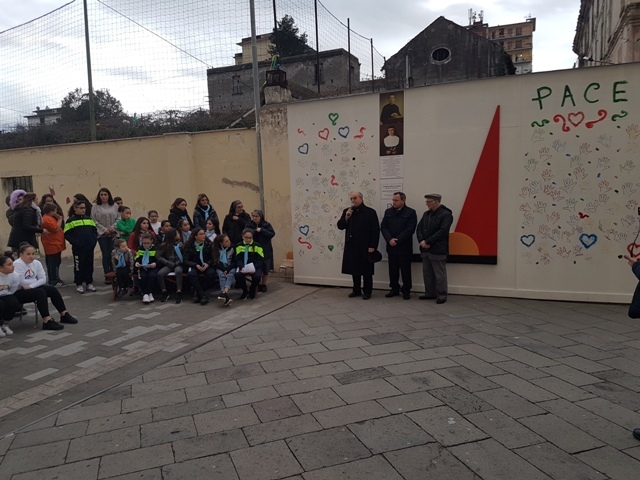 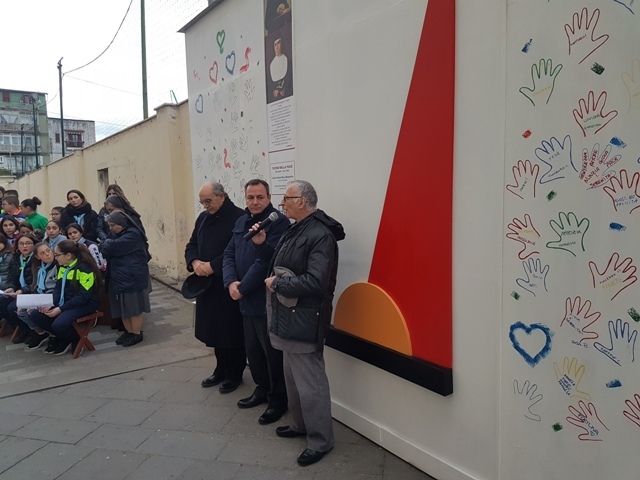 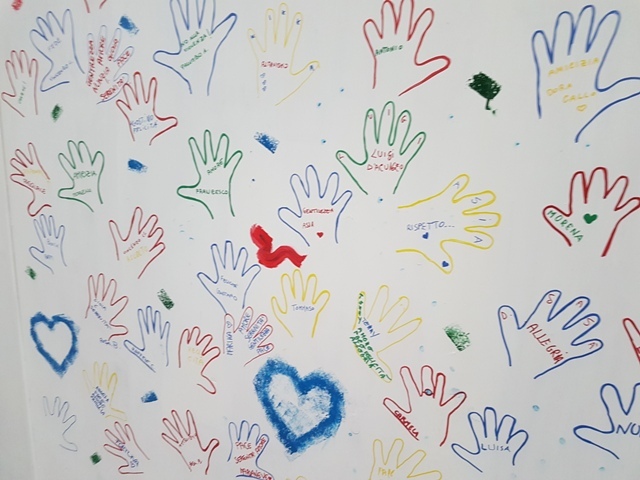 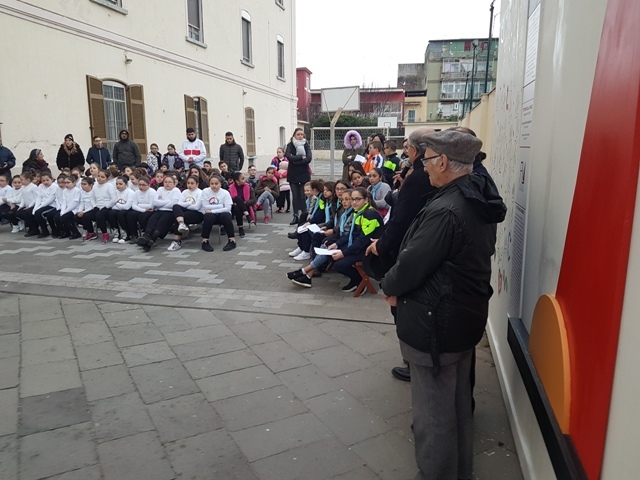 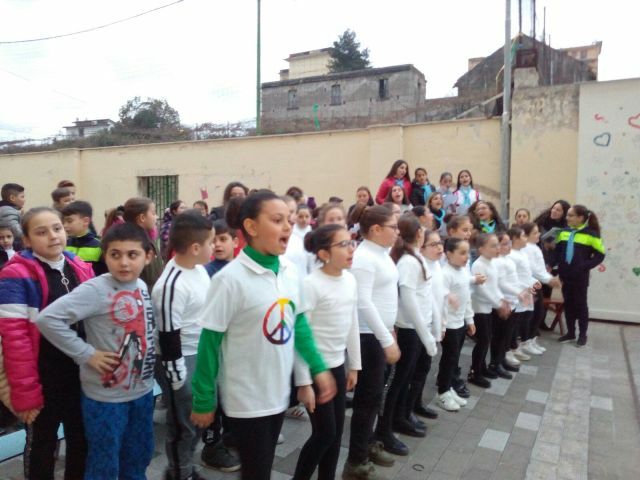 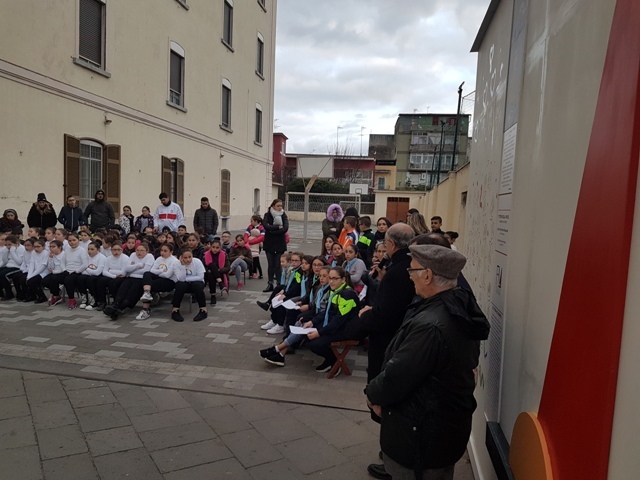 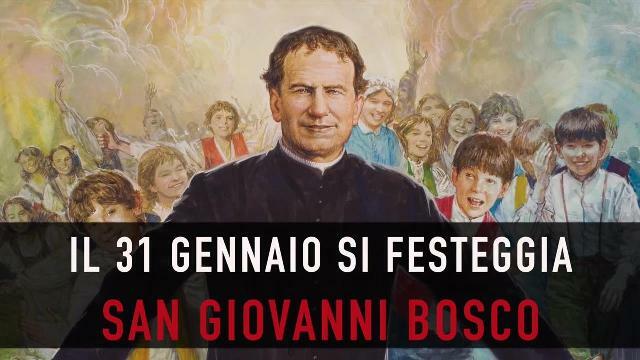 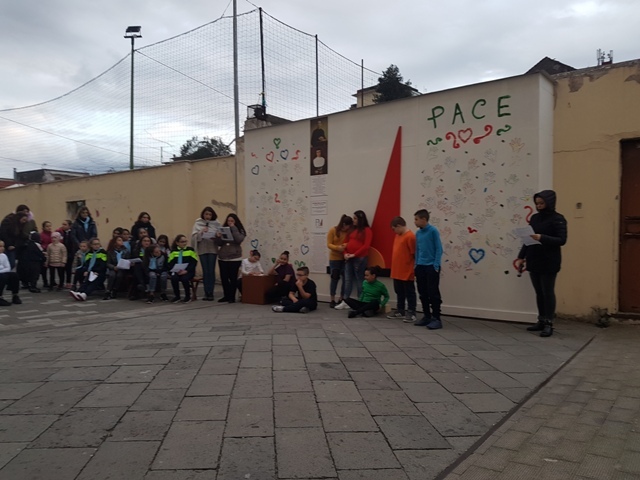 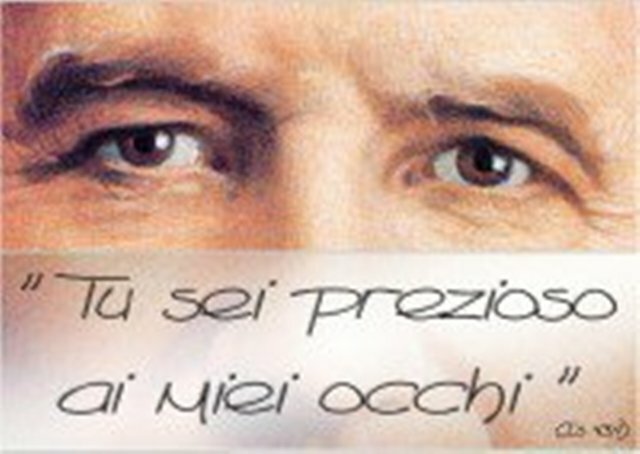 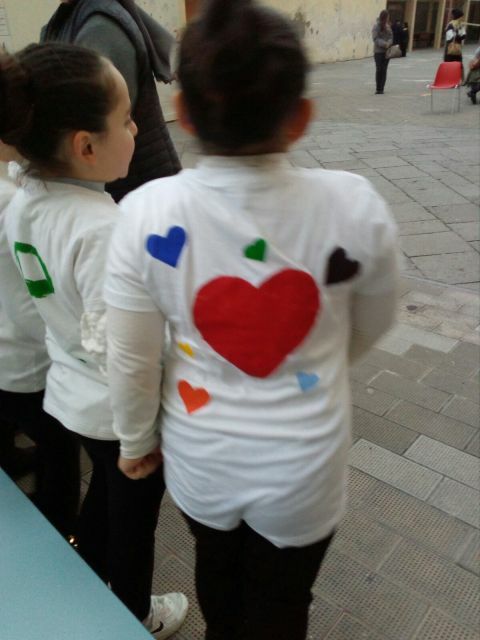 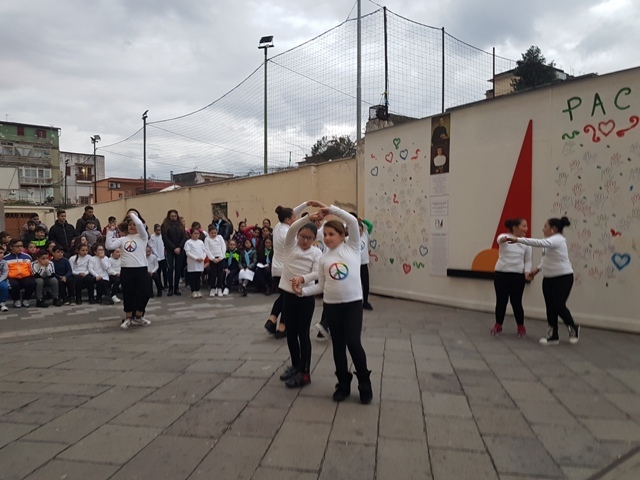 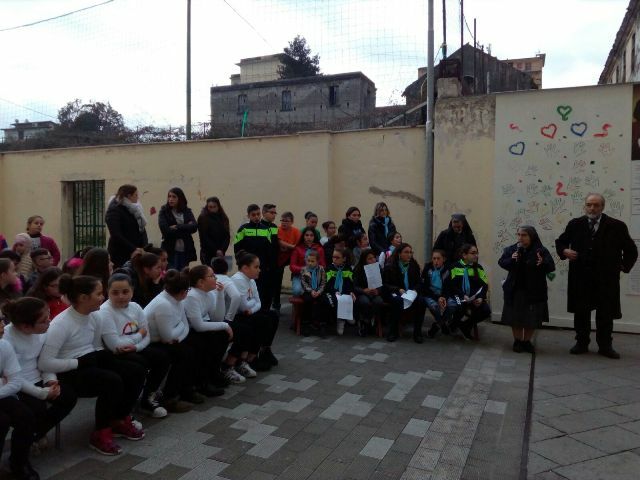 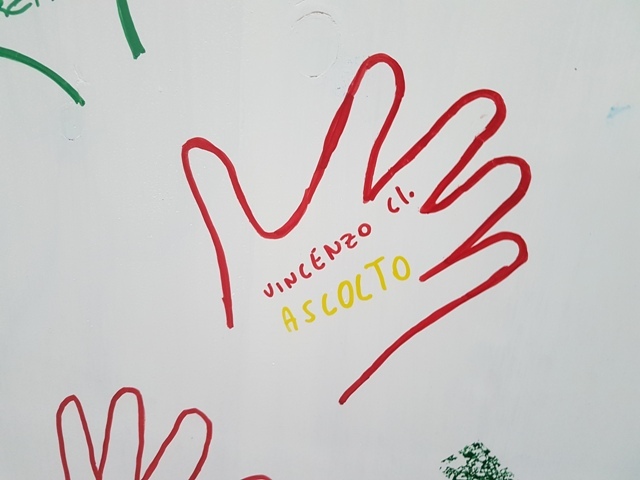 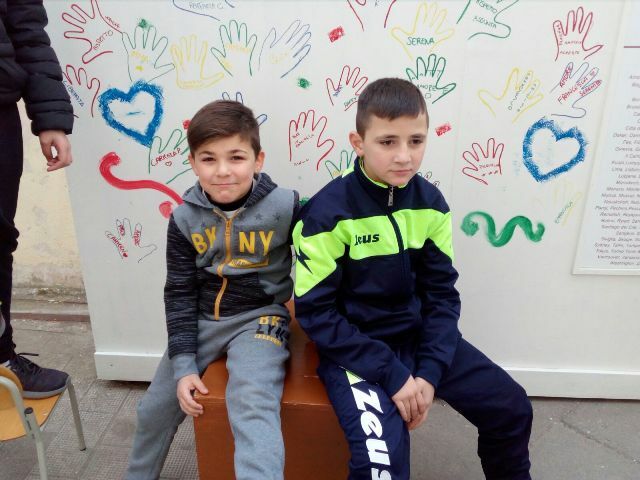 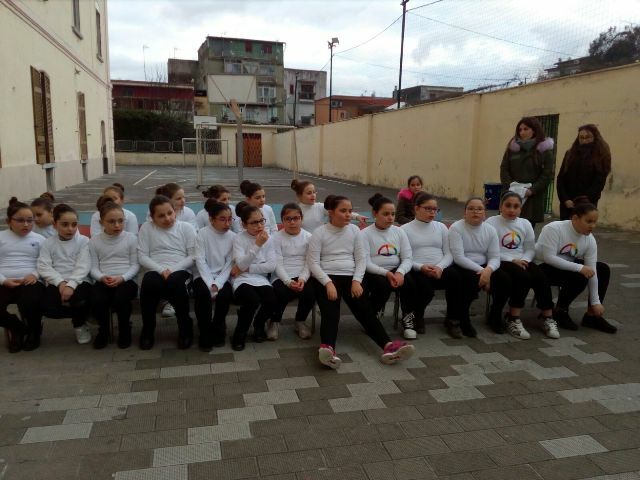 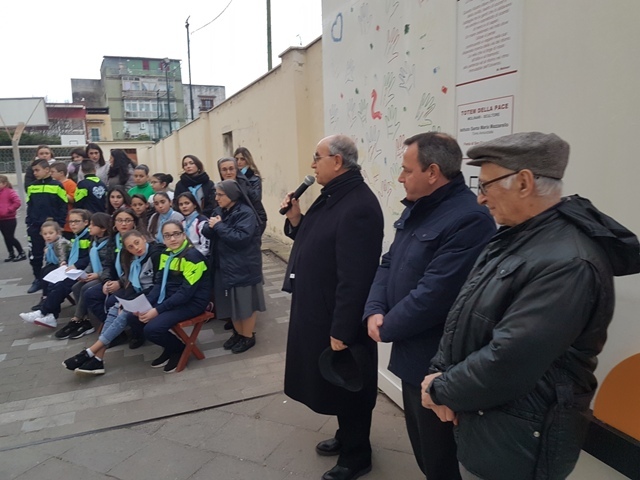 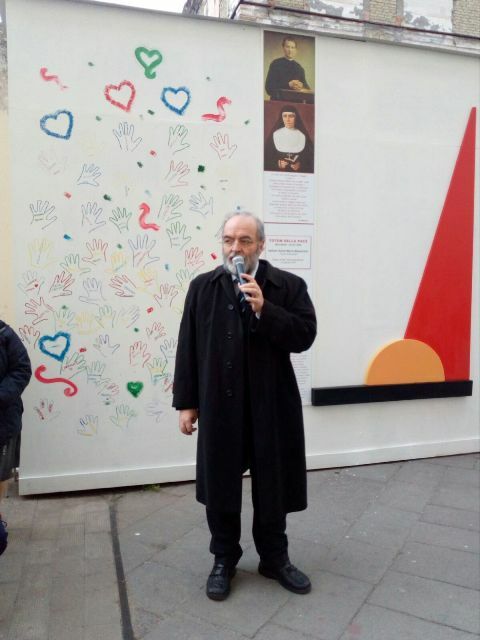 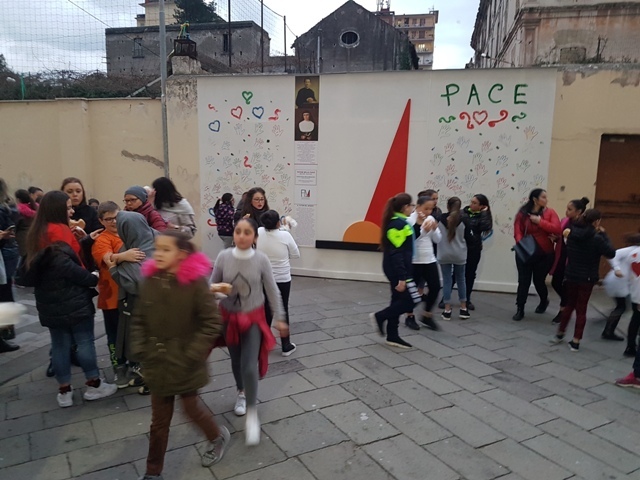 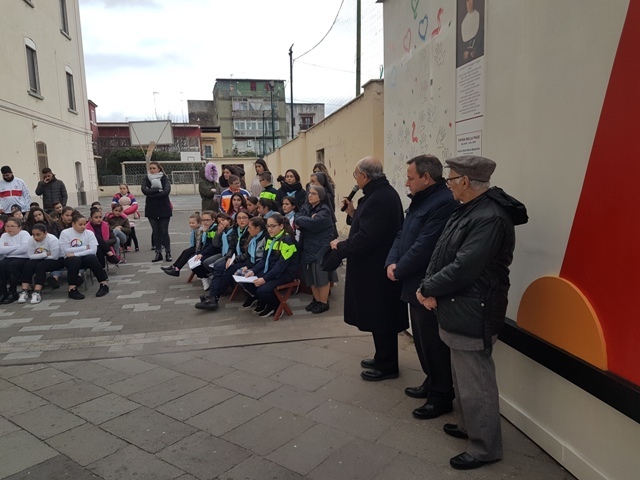 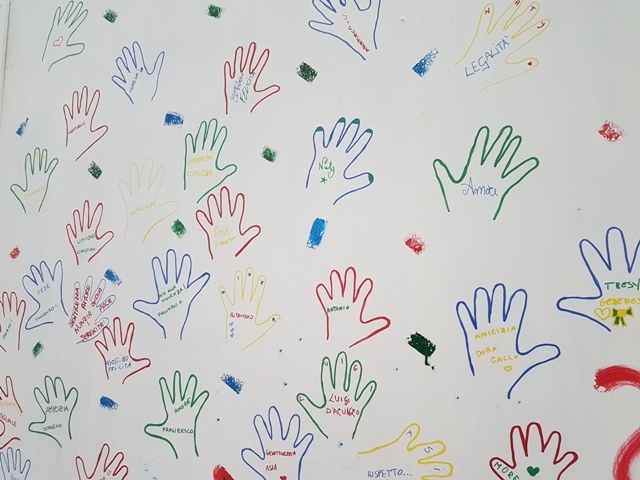 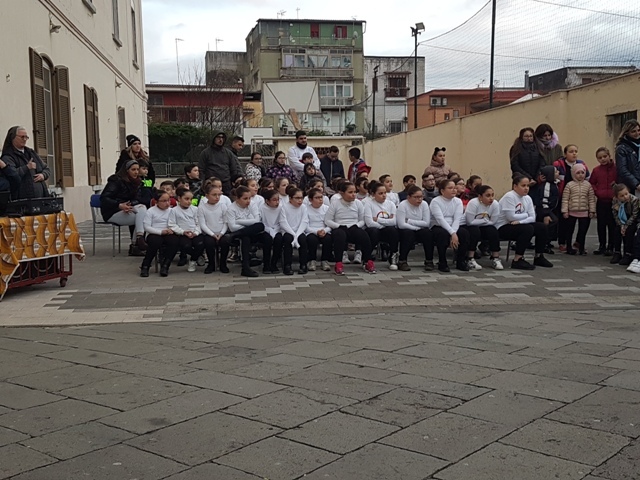 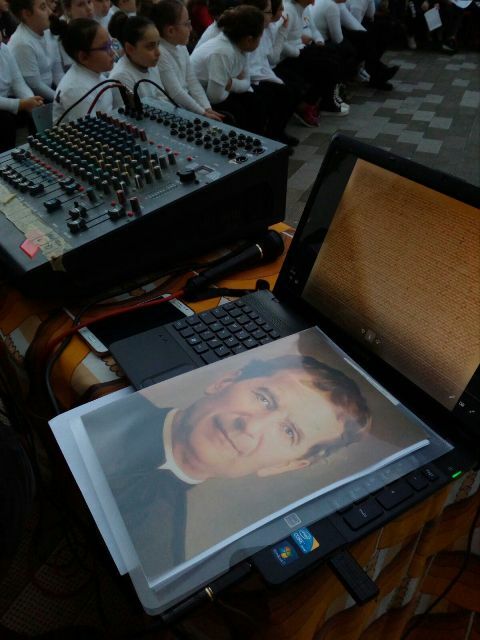 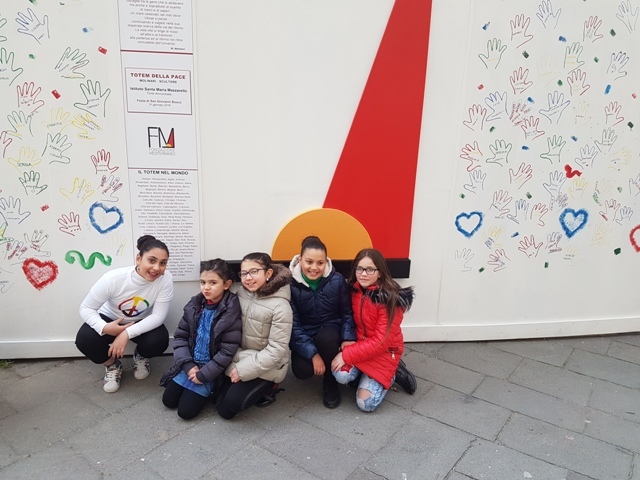 In particular, President Capasso underlined the importance of the "Hands of Peace" reproduced by the boys and girls of the Oratory: a COMMITMENT to be builders of peace that since childhood must involve children so that they grow up with a totality of values ​​capable of countering the adversities and the evil of life.